Jurassic Park- Now enjoy as a Game! Do you remember Steven Spielberg’s 1993 classic family action movie Jurassic Park? It has to be up there as one of the most timeless releases in cinematic history, truly a landmark of 20th century cinema. 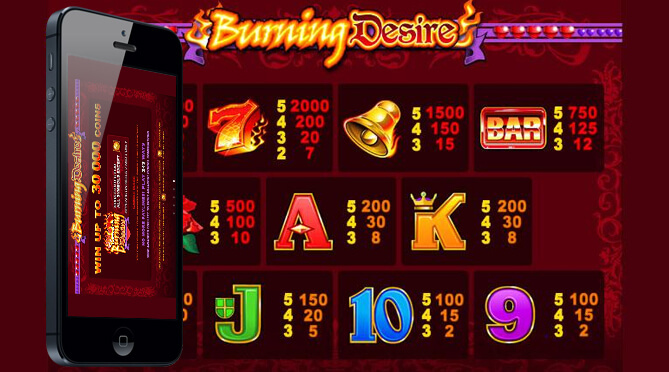 With such popularity over the course of decades which have elapsed since its release as a movie is the fact that there is a modern slot pokie game available to players which bases itself on the movie. 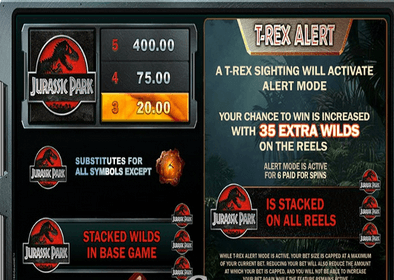 This is Jurassic Park slot machine online. Taking us all back to the thrills and spills of the marginally life-threatening confines of the dinosaur infested theme park via the equally unbelievable and magnificent medium of Microgaming pokie format, this slot is the favourite of many players world over. Jurassic Park is a 243 ways pokie machine. This means there are no traditional paylines in play, because symbols can fall anywhere on consecutive reels, from left to right, in order to form a winning combination. Thus, with five reels and three rows of active symbols, we get 3 x 3 x 3 x 3 x 3 = 243 ways to win per spin. This setup also affects the way we bet, as we cannot pick and choose individual win lines to activate. Instead, we automatically cover all 243 paying combos each spin, regardless of whether we play the lowest possible wager or the highest. 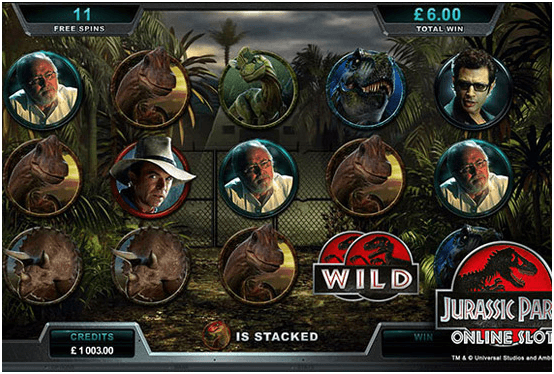 There are 10 fixed bet level in the Jurassic Park digital slot, and we can choose from three different coin denominations: 0.01, 0.02, and 0.05. This gives us a minimum bet of 30 cents (0.01 coin on bet level one) and a maximum wager of $15 (0.05 coin on bet level 10). This low-limit betting range is par for the course among Microgaming’s licensed slot games, and more liberal than some ($7.50 maximum bets are not uncommon). This makes it an ideal option for casual punters and players with tight bankrolls, as there is less risk of running up big deficits than on Internet pokies with higher bet limits. The Jurassic Park symbol set covers the movie’s four main characters: Dr. Alan Grant (Sam Neill), Ian Malcolm (Jeff Goldblum), John Hammond (Richard Attenborough), and Dr. Ellie Sattler (Laura Dern). Then there are the dinosaur clones, of course: the Tyrannosaurus Rex, the Brachiosaurus, the Triceratops, the Velociraptor, and the Dilophosaurus. Of these standard symbols, five Dr. Grant icons pays highest ($200 for a $15 bet) while three Dilophosaurus panels gives up the lowest amount ($2.50 for $15). Winning sequences with the character symbols will get you more than cash in return. In classic Microgaming fashion, hitting three or more of the same icon will unlock a highlight reel of that character lifted from the actual movie. The bigger the combo, the more video footage you get to see. Jurassic Park Wild – The JP logo is a wild feature, which can substitute for any other symbol except the scatter. These can come stacked in groups of three in the base game, and can be increased or altered in bonus rounds. DNA Scatter – The mosquito in the amber, from which the dinosaur DNA was extracted in the film, is a scatter feature. This symbol can pay from any position on the reels, and landing three or more will unlock the bonus game. It is also the highest paying symbol in the game, with five scatters returning $1500 on a $15 bet. T-Rex Alert – A Tyrannosaurus Rex sighting can occur randomly at any time in the base game, which activates the T-Rex Alert mode. This feature adds 35 extra wild symbols stacked on all reels for six spins, which greatly increases our chances of striking a big winner. 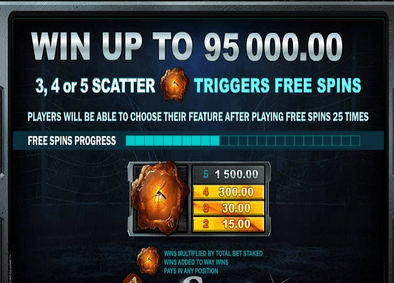 Hitting three or more scatter symbols unlocks the free spins feature, where we can play one of five randomly assigned bonus games. 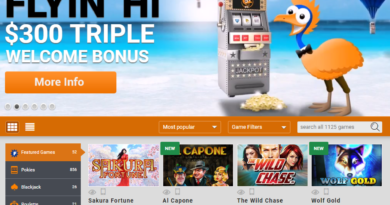 Once you have activated the free spins 25 times, you can then choose whichever interactive bonus feature you want to play on any subsequent rounds. The five unique bonus games correspond to each of the Jurassic Park dinosaur symbols in play. 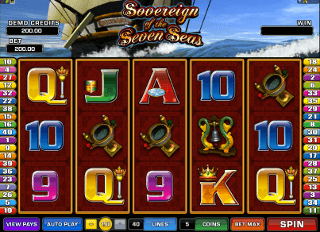 Each offers 12 free spins, along with a special set of wild features. The main dinosaur symbol for that round will appear stacked on the reels – so if it is the Triceratops bonus, for instance, the Triceratops symbol will be joined in groups of three. 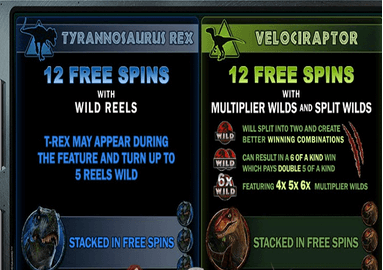 Tyrannosaurus Rex – Here, we get 12 free spins with wild reels. The T Rex can come along at any time and turn up to five reels wild at once. Velociraptor – This one introduces two special features: Multiplier Wilds and Split Wilds. The wild multiplier can increase wins by 4x, 5x or 6x the standard amount, while other wilds can be split into two separate symbols to create bigger combinations – including the elusive six of a kind, which pays double any five of a kind. Brachiosaurus – This is the only round where free spins can be retriggered during the bonus. 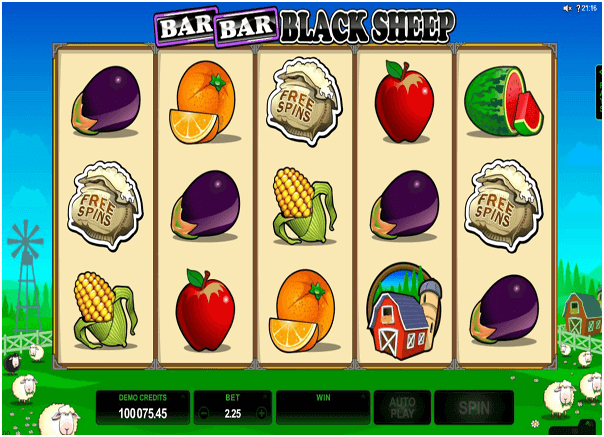 It also come with Mystery Multipliers, which can increase wins up to 6x over a random number of spins. 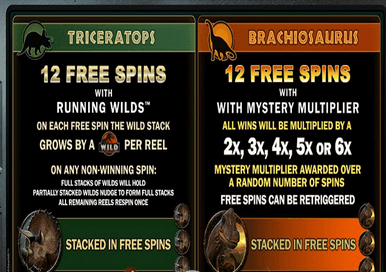 Triceratops – The Running Wilds feature sees wild stacks increase after each spin, so by the end you will have strings of up to 14 wilds on a reel. We can also trigger respins on non-winning turns, where the wild stacks will nudge and/or hold while the remaining reels go round again. Dilophosaurus – The Dilophosaurus symbol can turn wild at any time, and so trigger the Winning Wilds feature. Here, the wild remains held in position after any winning spin, and will only disappear after a non-winning turn.